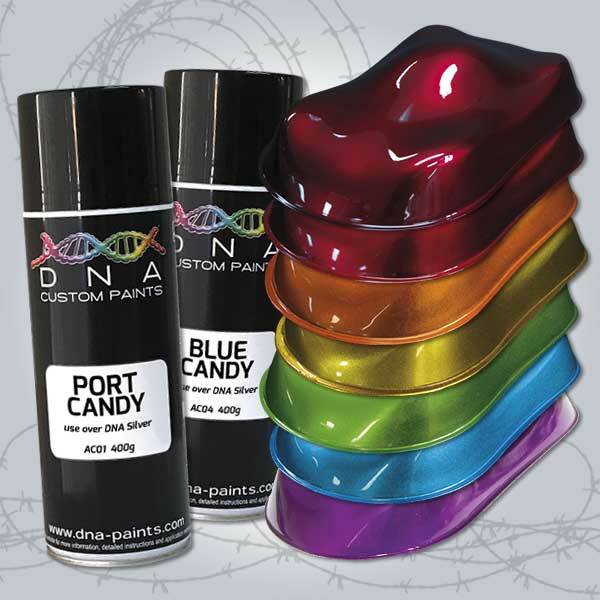 DNA® Custom Aerosols are designed so anyone can create professional custom paint effects at home without needing professional spray painting equipment or needing to purchase commercial quantities of paints and other products..
DNA Aerosols are perfect for small projects such as sculptures, artworks, car parts, bikes, surfboards, skateboards, RC cars and planes, furniture and almost anything else that you care to paint! A core range of True Candy dies in aerosol cans. Normally applied over Silver or Metal Flake ground coats these candies will give you depth and colour that is unheard for an aerosol. 7 Candy colors now available! Color-Shift Pearl is a color shifting paint with a metallic look. Designed to be used over Black Basecoat (for maximum color effect) to produce a range of rich color changing effects. 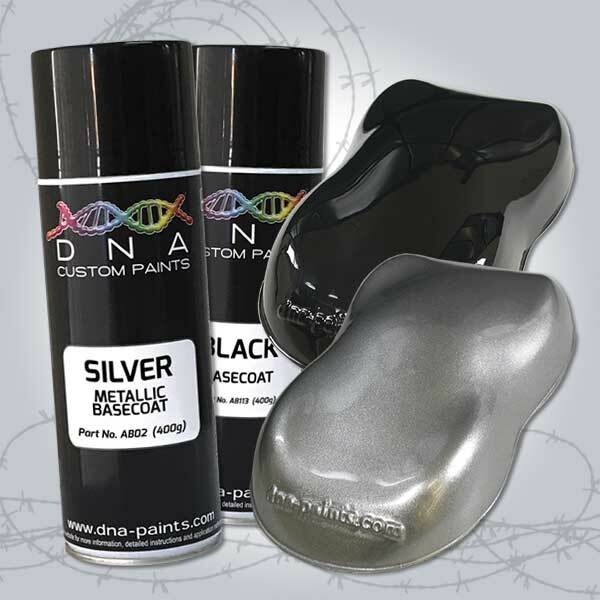 For best results and maximum UV protection always top coat with DNA™ Hi-Gloss Clear Coat. 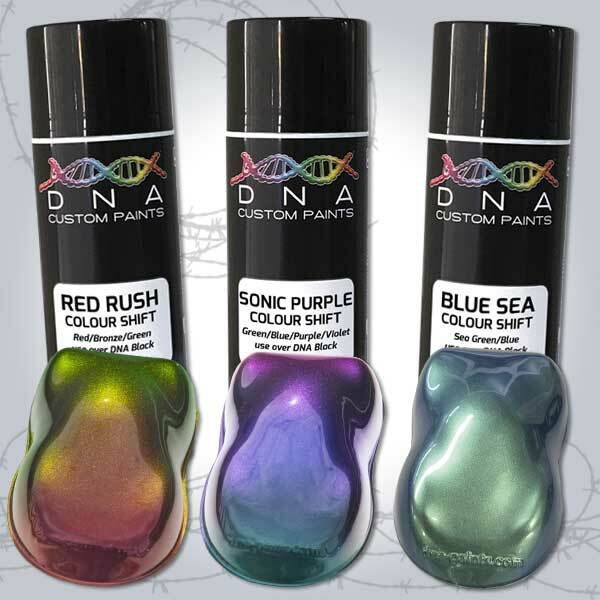 DNA Basecoats to produce the perfect groundcoat for your Custom Candy, Flakes or Colour-Shift paint jobs! 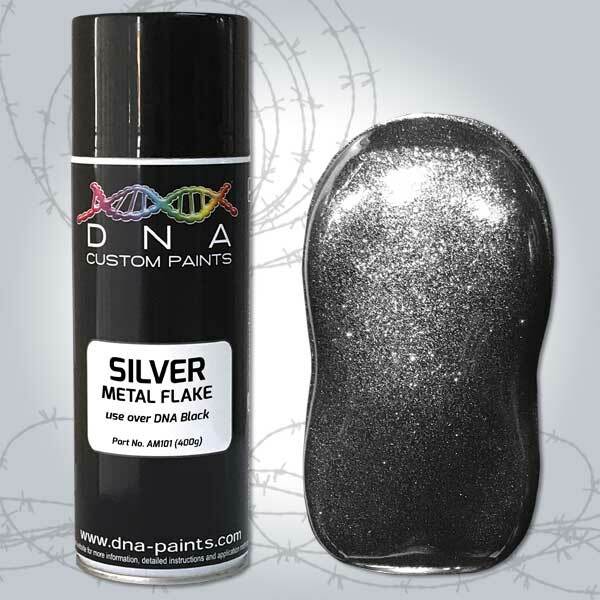 Silver Metal Flake aerosol. Perfect as a ground coat for candies or just coz you want bling! 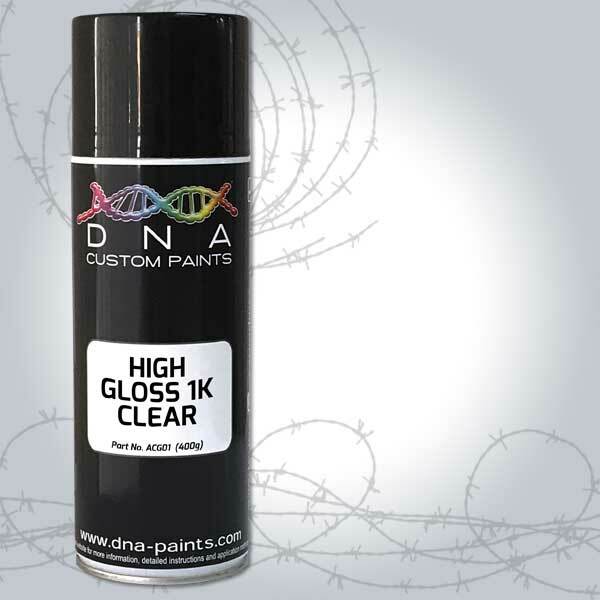 High Gloss aerosol clear coat, great for artworks, tanks, helmets, colour match cards and other projects that are not exposed to fuel and other harsh chemicals or solvents. Showroom Shine from a can! Aerosol Plastic Primer for maximum adhesion on a range of plastics.